Biofuel blends in motorcycles, what do bikers think? We loved our time with the Smart fortwo EV and think it's the perfect fit for short-distance commuters and in-city drivers who are looking for a reasonably inexpensive and space-saving way to reduce greenhouse gas emissions and lower their petroleum use. We loved our time with the Smart fortwo EV and think it’s the perfect fit for short-distance commuters and in-city drivers who are looking for a reasonably inexpensive and space-saving way to reduce greenhouse gas emissions and lower their petroleum use. 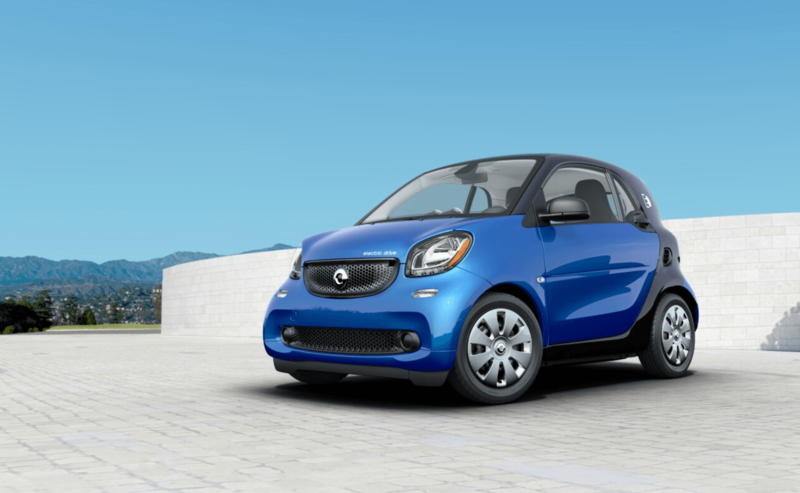 We coordinated with Mercedes-Benz of Knoxville and smart USA to receive the smart fortwo, and luckily ended up with a Cabrio, the “Passion” model. 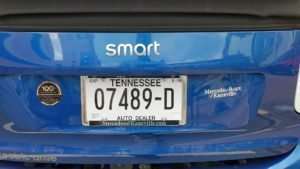 Below are notes from Daniel and Jonathan of the East Tennessee Clean Fuels Coalition on our test drives of the fortwo. Full disclosure: I didn’t have high hopes for the Smart fortwo EV when I first heard that I’d be test-driving it. 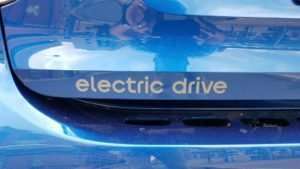 I’d driven conventionally-fueled cars that were similar in size and power (a pathetic Fiat 500 comes to mind), and so I imagined that the experience driving the Smart EV would be similar to that — something akin to accelerating through a puddle of molasses while sounding like a jet engine taking off. I was wrong, wrong, wrong about the Smart fortwo EV! In performance and drive-feel, this car is nothing like any other car of its size or use-case. It accelerates with ease and with a bit of a thrill, handles well, turns on a dime, deflects wind-noise successfully, and has plenty of room for the taller-than-average (I’m 6’3″). It generally pleased the hell out of me during my four-day test drive. I had great fun watching similar realizations about how much fun this car was to drive flash across the faces of the various folks I took for round-the-block tours in it — a University of Tennessee professor, an artist, a police officer, a USPS mail carrier, and a facilitator at a environmental research institute. Their eyes as I told them to “open it up,” as the feeling of acceleration produced an adrenaline rush (EV drivers will know it as “dat EV torque!”) would widen and surprise and excitement. “This thing has some power!” was a phrase I heard more than once. Of course, “with great power comes…” well, not great responsibility in this case, but it does come with a notable trade-off: limited range. 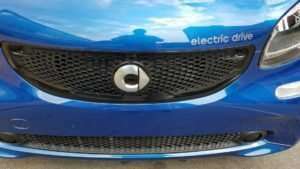 The Smart fortwo EV got up to 80 miles of driving, fully-charged, while I was driving it. That was with the A/C turned off and ECO mode (a setting that reduces the overall KwH power going to the drivetrain) turned on. With A/C on and ECO mode off, that number came down to ~60 miles on a charge. Of course, this is par for the course with EVs. Presumably, if you’re buying an EV this year, you’ve already taken range issues into consideration. Another aspect of the range trade-off is that the Smart fortwo EV doesn’t have a D/C Fast Charge port, which means you’re going to have to wait at least 3 hours to fully charge the vehicle using a Level 2 charger. If you’re just plugging the car into a wall socket at home, that number will shoot up to 7 or 8 hours. So, you’re not driving to Florida in a Smart fortwo EV. But that doesn’t really matter, because this car is made for your daily commute, running errands, or heading into town for a night of fun. It’s a fantastic daily driver. It can park almost anywhere, is fun to drive, is affordable, and is pretty stylish, too. Most American families own two cars; one daily driver used to go to and from work, and another, larger car for trips, hauling large items, etc. My experience with the Smart fortwo EV made me ask whether I really need a full-size sedan as my daily driver. I think the answer is that I don’t — this car will get me to and from work, take my spouse and I to see a show, let me stop on the way home for a few groceries (trunk space is limited, but more generous than you’d expect), and run and errand or two. Overall, I was really pleased with the design language of the Smart fortwo EV. Space for its two passengers is ample — surprisingly so, given the car’s slight frame. I described it to Jonathan, “as if they cut the rear half off of a midsize sedan and added a little trunk.” They’ve really designed it well for comfort, even given my height. Viewing angles from side to side were quite acceptable. I occasionally found myself craning my neck just a bit to see what was beside me, but this was mainly just because I was used to driving a car that went far further back than this one did. Once I got used to the idea that my car ended just a foot or two behind my head, that feeling went away. I thought a few of the dash and control choices were a little odd. The controller knob for adjusting side mirror positions seemed placed specifically for my knee to bump it when I adjusted my legs, and I found the radio and air conditioning knobs to be slightly unintuitive. 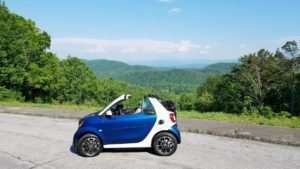 But all of these nitpicks were things I adjusted to quickly, and by the end of my four-day test drive, they felt far in the past and not like something I was going to worry about if I were to drive a Smart fortwo EV every day. 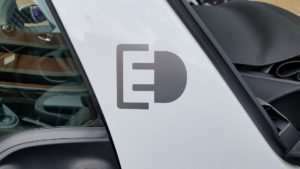 The introduction of Smart’s EV-only line of cars, and the fortwo EV specifically, is an exciting moment for EVs. It introduces a compelling new use-case for short range EVs that’s affordable, well-designed, and fun to drive. 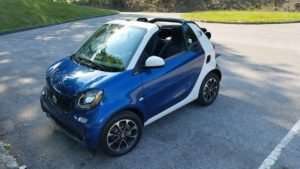 If you’re looking for a daily driver that will reduce your environmental footprint, save you money (both in up-front cost and fuel usage down the road), and just be pleasurable to drive, the Smart fortwo EV is a compelling option, and one that you’d be doing yourself a disservice to not check out for yourself. A view of the Great Smoky Mountains National Park from the Foothills Parkway. The fortwo breezed up the hills along the Parkway. A view of the interior and console. What the rear space interior looks like. In the Cabrio’s case, the top goes in the tailgate, so that takes up some of the limited room in the back if you take it off. Where we charged the smart for two. 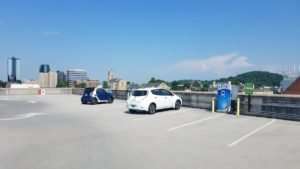 UT Knoxville has a parking garage with solar-powered EVSE, including several Level 2 chargers and one DCFC unit. This is a small, fun-to-drive car! My overall experience was very positive and for most of my driving, this car would take care of my needs… so long as I have another vehicles for carrying more stuff, which most suburban families have. If this is to be my city driver, I’d be a pretty happy guy considering I could park almost anywhere (where even subcompacts couldn’t park), could easily recharge at home and could quickly, quietly and comfortably go from A to B to C and then home. 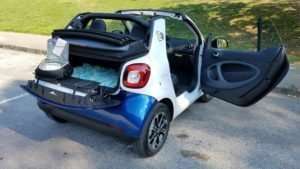 During my time driving the fortwo, I drove it home and back to work several times without issue (once I clarified which 110V outlet I could charge through at home – we have an older home so not all outlets are GFCI). It told me (and provided) 60-80 miles for the day after fully charged. Then, the wife and I drove it to the Foothills Parkway and to Look Rock. The car consistently provided what appeared to be an accurate assessment of how many miles we had left, and using the available “eco” mode added about 10-15 miles to the total distance, without sacrificing much at all in power. Below are more thoughts on my part of the test drive. Also, know that the safety test ratings are straight from the NHTSA website. Details: The radio has a different kind of controller but takes seconds to figure out. The HVAC system worked well and provide ample air conditioning; you just have to be careful of its use during longer trips during the day. The driver- and passenger-side mirrors work fine but the adjuster for that takes a little getting used to. Shifting: In lieu of the more odd shifting system that was in the Nissan Leaf that I test drove for three years, this is one is a straight-up Park/Reverse/Neutral/Drive shifter. For example neutral was a side-shifting system in the Leaf; it is just a simple choice in the fortwo. Visibility: I had no problems with visibility other than in a couple of instances where I needed to see through the B/C pillar, which in this car has an expanded view blocker (due in part to the convertible). In certain instances, like when I’m turning on to a road wherein I’m not perpendicular to the street (I’m at a 45 or 70 degrees), then I need to carefully look around that pillar using mirrors or line-of-sight looking. Ride: The car drove really well. You have to get used to the smaller turning radius but it just makes the care more nimble. Back support: Driver’s seat has excellent lumbar support… this is something I particularly like in my vehicles. The fortwo doesn’t have lumbar support adjustment, but that support that comes standard is excellent. Seat adjustment for size: I put it all the way back at first blush, but then realized I needed to be a slot closer. I’m 6’3″ so there is another slot going back for larger folks. We loved our time with the Smart fortwo EV and think it's the perfect fit for short-distance commuters and in-city drivers who are looking for a reasonably inexpensive and space-saving way to reduce greenhouse gas emissions and lower their petroleum use. Apart from a few weird choices with the dashboard layout and a finicky trunk latch, the Smart fortwo EV is a fantastic choice. 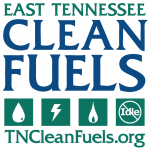 Tennessee Clean Fuels is the home of the East and Middle-West Tennessee Clean Fuels Coalitions. We serve as fleet guides to navigate alternative fuels and advanced vehicle technologies in the 21st century. Both coalitions are nonprofits, and designated participants in U.S. DOE’s Clean Cities Program. Our mission is to promote cleaner alternative fuels and vehicles, to improve air quality and health, curb dependence on petroleum, and strengthen Tennessee’s economy. Fuels Fix features stories about alternative fuels and advanced vehicle technologies successes in the United States. 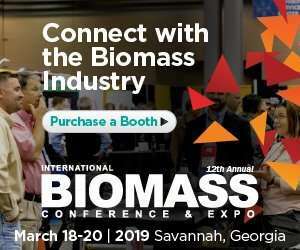 The site is powered by news from the US DOE Clean Cities Program as well as our working partners in the alternative fuels industry. © Copyright 2018 by Fuels Fix, an operation of East Tennessee Clean Fuels, a 501c3 registered non-profit organization.